Review Title : Great Cruise Experience! 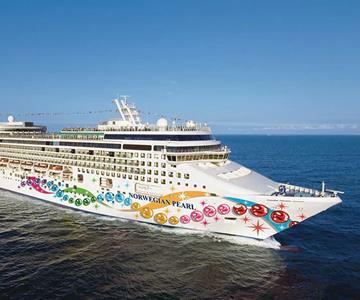 It was a wonderful experience to sail with NCL. Cruise arrangements were up to the mark and all pre-sailing bookings, ticketing and VISA documentation were very well handled by CruiseBay. Applying for Schegen VISA is a lengthy procedure, but thanks to Mr. Sagar from CruiseBay, he arranged for all the documents and the processing went off smoothly. I would suggest one should start planning for a cruise trip much earlier, maybe 2-3 months before, as being first-timers we came across many queries while planning the trip and which were answered in due course of time.